Does Polly really want a cracker? 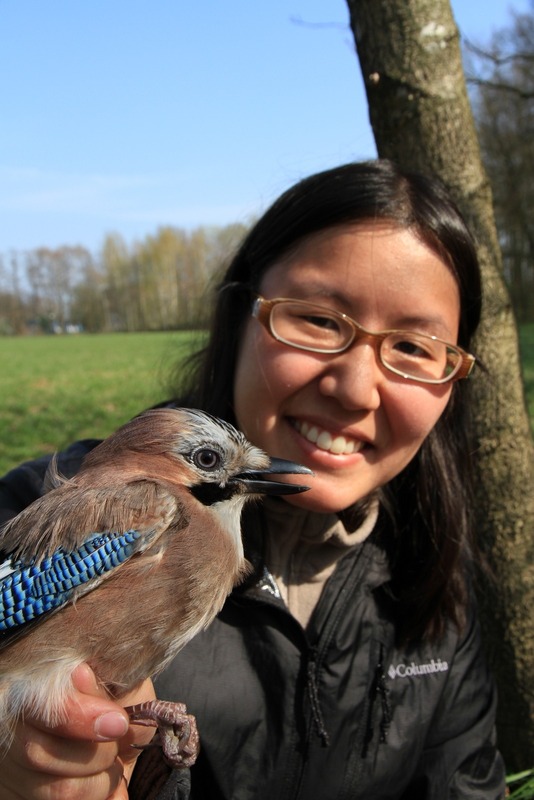 Head of Science Dr Susan Waugh introduces Dr Barbara Mizumo Tomotani, arriving in September to look at how our birdlife has adapted to human impact. Te Papa will be welcoming Dr Barbara Mizumo Tomotani in September, to work on the isotopic and morphometic analyses of some of New Zealand’s most threatened endemic birds (including some extinct species) – 10 species from kākāpō to huia. The study will examine how quickly birds have adapted to human impacts on their environment – whether changes in food availability had impacts on their physical form, or in some cases their survival. The biochemical make-up of their feathers will enable Tomotani to understand dietary shifts that have occurred over the decades, with specimens dating back to the 1880s available for the study. Dr Tomatani is the recipient of the Netherlands Science Funding agency (NWO) post-doctoral Rubicon fellowship. She will use Te Papa’s bird collection to look at changes in diet and beak shapes in the birds over the 120 years that the museum has been collecting birds. For those species which have been moved to safe, predator-free environments, or only exist in a small part of their former ranges, their access to important food resources may be limited. As the birds’ feathers are formed, they capture signals from the environment that reflect the food they’ve been eating. The stable isotope study, carried out in collaboration with Te Papa Head of Science Dr Susan Waugh and NIWA researcher Dr Sarah Bury, will enable Dr Tomotani to assess how carnivorous or herbivorous species were historically, and whether they relied on a certain part of the food web or ecosystem for their diet. The study will assess whether the species that survive into the present day have the full dietary breadth that their ancestors enjoyed, as well as looking at how extinct species fit into the ecological landscape. Dr Tomotani’s project was ranked third among all those assessed by the NWO for funding this year in the biological sciences, and is among 20 projects awarded research and salary funds to help recently graduated researchers into their careers. The grant funded recent graduates to take their research careers further, around the world, with nine laureates going to the United States, two to the United Kingdom, two to Germany, two to Switzerland, and one each to New Zealand, Belgium, Singapore, Norway and Israel. Te Papa is delighted to be hosting such a talented researcher over the 16-month fellowship and to collaborate in using new science approaches using its unparalleled natural history collections.